A Dunnes Stores sales assistant who was injured at work when a heavy tray of bread loaves fell on her at work, has been awarded €15,000 damages in the Circuit Civil Court. Barrister John Quirke, who appeared with James McSweeney Solicitors, told Judge Terence O’Sullivan that in March 2012 Jessica Kelty was pushing a two metre high trolley when the top tray of bread fell off and struck her on the head. Ms Kelty (23) of Brookfield Drive, Tallaght, Dublin, said the trolley was almost twice as big as she was. She had been knocked to the ground and felt dizzy afterwards. Judge O’Sullivan heard that on March 22, 2012, she had been helping to stock shelves in Dunnes Store, Tallaght, where she worked as a sales assistant. Shehad been sent to the stockroom to bring a trolley of bread and pastry and as she pushed it forward the top tray had fallen, striking and cutting her head. Ms Kelty, who was 19 at the date of the accident and who is now a hairdresser, said she had been given first aid by another Dunnes employee before attending at the accident and emergency department in Tallaght Hospital where she had been detained overnight for observation. Following the accident at work she had suffered headaches as well as pain in her neck. She had self medicated with pain killers she bought at her local pharmacy but still suffered neck pain. Shane English, counsel for Dunnes, told the court that the company had accepted liability for the accident and the court hearing was for the purpose of assessing damages. Mr English, who appeared with solicitors Nathaniel Lacy and Partners, told the court the company was challenging Ms Kelty’s evidence that she had suffered “a significant injury” which still affected her work. Judge O’Sullivan said he did not think Ms Kelty had been knocked unconscious at the time of the accident and did not think there had been contributory negligence on her part. He said she had “a fairly nasty time of it” and her medical notes recorded she had been complaining of neck pain subsequent to the accident. While she still complained of some neck discomfort he felt it had more to do with the type of work she now did as a hairdresser. Following an application by Mr English for a stay on his order pending consideration of an appeal, the judge said he would allow a stay on terms of an immediate payment out of €10,000 to Ms Kelty. 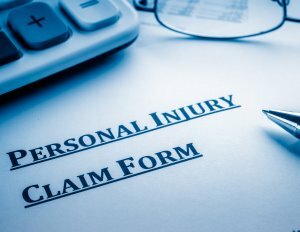 Maura Hurley Solicitors is a personal injury solicitor based in Dublin who specialises in accidents at work.